I volunteered to be an early adopter for our Google for work pilot in August of 2016. I was already familiar with the Google Suite, storing my personal documents on Google Drive; hangouts with friends, creating blog posts on docs and planning my dinner parties on sheets. As a technology and social media geek, I was eager to participate in this new initiative. For those of you who may be wondering how Google could be a contender to replace the Microsoft Office suite, well the truth is, they have a very interesting business model that is more attuned to how we use mobile. Microsoft offers a basic suite of applications; typically (Outlook, Calendar, Word, Excel and PowerPoint). This is the foundation for how the vast majority of us work. For those who need other applications like MS Project or MS Visio, etc. programs must be bought through a licensing fee and added to the suite through an IT professional. Alternatively enterprise licenses can be purchased and charged to the company based on the number of employees. Microsoft created a fantastic mini-monopoly for business using their applications. Google at work is a significant departure from the traditional Microsoft model. In a nutshell, it provides users the same experience as using it for personal use. Taking head on the notion that people have better technology at home than they do at work. Along with the basic processing functionalities, G Suite leverages the cloud and provides communication and collaboration tools that truly enable virtual work. One of the key differences with Google Suite, is basic functionality can be supplemented through 3rd party app add-ons. This is very similar to how we use mobile. Our smart phone is a series of apps that enable us to execute key transactions. We create an app ecosystem to enable our work. Docs and Sheets for example; require add on’s to really make them effective. This allows the user to pick the relevant apps as add-ons instead of being limited to the application. This allows competition for the right price and service. Another key difference is mobile offerings are solid and mature. Microsoft has responded to Google’s service offering by introducing Office 365. You get all the familiar tools of Office with the addition of partnered collaboration such as Skype and One Drive for cloud. I did briefly use this suite at a previous employer. The service offering is quite different from Google, but the change aspects are significantly lower. The mobile offering on Office 365 in my opinion is still immature. Our Google at work pilot lasted several months and then we were officially transitioned at the end of 2016. As an early adopter it’s now been a year since I transitioned. The switch was not seamless and had a number of challenges. I will say that I love many of the features that GSuite offers, such as Google Drive, the flexibility of accessing and opening google documents on my phone, collaborating on documents without having to save multiple versions and of course, video calling my colleagues! I used MS Outlook for the majority of my professional career and I don’t miss it. I’ll be honest and say I’m still struggling with mastering Doc’s, Sheets and Slides, but I’m committed to making this work. Change management is critical for success. Besides executive sponsorship, employees need to understand GSuite is a different way of working. For example, shared drives will be replaced with Google Drives which provides a different way of sharing, accessing and collaborating on documents. Time and effort need to be invested in getting people to focus on the new way of working and not trying to replicate MS Office processes/ functionality through Google. Back to my consulting days, replicating old processes on new technology will not yield any value. Application Mapping is essential to increase user adoption. While Google has work processing apps such as Sheets, Docs and Slides, they very immature in the capabilities they offer compared with Word, Excel and PowerPoint. Users need to understand how they can get the same output using the GSuite tools. So if I build and run marcos in Excel, I need to know how can I replicate that same output using Sheets. This was a huge gap for many of our business segments as they felt they were losing key functionality through the move. Document and the areas of concern and work with the business areas to build assurances they can get what they need with the new products. Identify add on’s and supplements as part of your general release (GA). For people who never used Outlook (I’m thinking of your Millennials and Gen Z’ers), it may be easy to transition onto Gmail for work. For the vast majority of employees, functions such as listening to voicemail via your messages or setting reminders for follow ups have become a main staple that impacts productivity. It’s worth the time to identify the “must haves” and deploy the appropriate labs or add on’s so users are minimally impacted. This goes a long way to minimize the change. Consider offering Google Sync as an initial step to move off network drives. Continuously educate. Transformation is not easy. Replacing something as significant as a Microsoft office suite with a Google suite is going to have some casualties and a lot of noise! You will have a subset of users who refuse to change. Who cannot grasp something new. Who will constantly complain. On the other side, early adopters, those looking for new solutions will be willing to live with trade-offs. Tools and education need to be provided to help users bridge the gap from old to new. Forums for feedback are important in the change strategy. More important is offering continuous training on the core applications. I’m a huge proponent of self-service, but for things as big as this, I would recommend having experts deliver training using a hangout or classroom. Users will feel more confident if there is on-going training/ resources available to help them combat their day to day gaps in using new tools. Ensure you have the necessary hardware: Prior to using GSuite, we didn’t have video calling capability. Most of our employees sit out in the open and may have desktops. When Google was deployed, we offered training via hangouts but didn’t give people headsets for video calls. Most people couldn’t participate and you can imagine what impression this left. It was a scramble to order hardware (headsets and cameras) for people to truly leverage the new technology. This had to be built into our on-boarding provisioning process as well. Ensure you think about the hardware logistics for maximize initial usage. Promote the mobile offering. Google has a mature, sophisticated mobile platform. The GSuite works easily and seamlessly on mobile. Users on the go or work from home will love this flexibility. Google for Work is another example of providing an alternative business models that’s disrupting the conventional way we do business. We’ve seen this time and time again (Taxi industry and Uber; Online vs. print media; Hotels vs. Airbnb, etc.). Not only has this benefited the consumer by providing alternative solutions, but it forced Microsoft to deliver a competitive offering with Office 365. I hope your move is successful. I would love to hear how your transition went. Like what you see? Follow me on LinkedIn, Twitter @annzaliebarrett, or subscribe to my blog. I look forward to hearing from you. The digital mobile revolution has transformed consumer behaviours. Over the last decade there’s been a shift in how consumers are finding and purchasing products and services. Many start ups have capitalized on this trend and have created businesses centered around mobile apps and social media. Think of Airbnb, Taskrabbit, Uber, Taobao, etc. It’s these two items that have paved the way for the next generation in consumer to consumer (C2C) business. With features such as customer reviews, ratings and engagement; buyers now have a greater level of transparency than in typical business to consumer (B2C) models. The success of the new C2C model has challenged many static B2C industry models forcing them to modernize their service offerings or risk losing market share. Let’s take a look at two examples to gain more insight in how they’re revolutionizing the way we buy. One of the most controversial examples of the new C2C model is Uber. Operating in over 58 countries Uber and has shaken the foundation of the traditional taxi B2C service model. Uber is an on-demand car service that allows a consumer to request private drivers through their mobile app. The service utilizes dispatch software to send the nearest driver to the location. By using the Uber software app drivers are connected to consumers through a service request. People can sign up to become an Uber driver using their own vehicles. Rate your driver- The ability for passengers to rate their drivers and read reviews. Transparency about service from real reviewers provides a higher level of authenticity and trust. Pay for Performance- Drivers are empowered to get a 4 star rating or greater. This keeps service levels high and increases earning potential. Pay through your phone. Payments are made through the credit card linked to your Uber account, on your phone. No cash accepted. Contact Your Driver– Once the trip is booked on the app, the passenger will receive the cell phone number of the driver and can watch them approach on their mobile device. BYOC– Drivers can bring their own car to work! All they have to do is lease the mobile app. and be adequately insured. Bitcoin is a digital payment system that enables peer to peer transactions without having to go through an intermediary financial institution. Bitcoins can be purchased through an electronic trading system using a smart phone. This video is a great short summary of how Bitcoin works. Since its launch in 2008, bitcoins have gained significant traction, with more than 45,000 transactions ($48.5 million dollars) handled through its network each day. 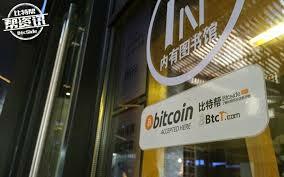 It’s introduced the concept of a decentralized virtual currency where value is determined by its users. Universal Currency- No need to convert to various currencies. Value is determined by its users- globally. Lower Merchant Fees- Fees for retailers are much lower than the 2-3% typically imposed by the credit card companies. Real Time Payment- Once the bitcoin transaction is complete the digital currency is transferred directly from the consumer to the vendor’s digital wallet. No middle financial companies required. Peer to Peer Money Transfers– Money can be wired directly to others through the digital wallet. The new C2C model is not only convenient but lucrative. In 2014, C2C had a recorded $105 billion dollar market size compared to $71billion dollars for B2C e-commerce. A testament that consumers have embraced it. With this new model, the traditional work model is also changing. Services like Taskrabbit and Uber offer freelance opportunities where you can define your own hours and accept the jobs you want. Motivators for incentives and rewards are geared to work/lifestyle balance or earnings potential. Is this the laying the foundation for the way we define the way we work? As C2C continues to become more lucrative, companies may need to rethink work arrangements, incentives and rewards to remain competitive and retain its workforce. What does C2C mean for your company? Scientific research indicates the brain transmits 90% of visual information and processes it 60,000 times faster than information in text form. Digital media has transformed the reach of visual content. Digital images such as pictures, videos, infographics, word clouds, etc., can be posted and shared quickly on social networks. On Facebook alone, 75% of content posted globally are photos. On Twitter, photos and videos are re-tweeted 63% more than other types of content (see chart below). In 2013 LinkedIn purchased Pulse, a news reader that presents content visually to its member base. The consumption of visual digital content has also led to the creation of many popular platforms such as YouTube, Pinterest, Instagram, Flicker and Vine (just to name a few). Its popularity has also had an impact on marketing and recruitment; specifically in the areas of diversity. As populations become increasingly diverse it continuously creates new customer and employee needs. These demographic shifts in both consumer base and talent pools have put pressure on organizations to build workforces that reflect the markets they are trying to serve. Companies such as RBC have created an integrated approach (as shown below) recognizing the fluidity between consumer, employee and community member. Consumer marketing has created digital brand strategies to tap into new demographics and create an emotional experience. The image below is a great example of this. The experience is reflected in the image to create an emotional response. To make you picture yourself using the product. It’s powerful because people can more easily relate if they see images that reflect themselves. Talent acquisition is no stranger to developing diversity strategies to build their workforce. For years organizations have tried to create programs to attract, source, hire and retain diverse candidates. Few have been able to claim bragging rights. Diversity recruitment has always relied on images to depict inclusion and representation. Social media has enabled this approach to go viral. Even though diverse images and videos are much more prevalent, prospective candidates have also shifted their approach. They now rely on employee experiences to validate the diversity proposition and actual representation of their prospective employer. According to a Glassdoor.com survey; candidates are signficantly influenced by employee experiences and how they perceive their employer. They’re looking for more meaningful and authentic messages from employees that reflect themselves. Which one would you click on to find more? People overwhelmingly chose the image on the bottom. They felt diversity and inclusion were represented and reflected by real employees. It felt more authentic. The visual digital collage created an emotional reaction. A connection. An experience. The goal is to make you picture yourself working at this organization. It’s employee experience that lies at the heart of talent branding. Creating an experience that resonates with potential candidates. An authentic experience delivered through employees. I’d love to hear your perspectives on topic! Share them with me @annzaliebarrett or through LinkedIn. First, I want to start off by wishing all of you a very happy, safe, healthy and prosperous New Year. The holiday season typically provide us with an opportunity to reflect on the year behind us. What lessons did we learn? What would we do differently? What did we accomplish and what weren’t we able to cross off our list. As the new year begins most of us feel rejuvenated, optimistic, full of hope and revolve to make this year different. This may include setting goals for a new job, home, travel, more money, etc. As you begin to define what you want to change, the how to get there will be a critical input to developing your roadmap. If your sites are set on career changes you may want to explore enhancing your skill set. Virtual learning has come a long way over the last few years and now there are variety of free learning options that cater to how you want to learn. Leverage your company’s eLearning library for education/training programs. Take advantage of social networking sites such as Facebook, LinkedIn, Twitter and Google+ . You can join free groups, participate in conversations, projects, webinars, events and industry discussions. Sites like Coursera offer college/university level courses taught by professors for free! One of my personal favourites; YouTube. It’s not just for music videos. It offers instructional videos, how to’s, etc. It’s one of my main go to’s when I need just in time learning. Upgrading your skills in an evolving market is always a good idea. It demonstrates your willingness to learn new things and keep relevant. Take a few moments to think about what new skills or training you would like to acquire and how that may help you align with your roadmap. Maybe you’re quite happy with your job but would like to get a better sense of what’s happening within your company or out there (in your industry). The start of the new year should also be a re-examination of relationships. Remove those who are toxic and draining. Toxic relationships erode your self-confidence and leave you feeling inadequate. Toss them in the garbage! Draining relationships are ones that are typically one sided, all about the other person. Hey it’s time to put yourself first! Time to let go and move on to relationships that are fulfilling for both parties. I am a firm believer in meeting new people. Not only does it expand your social network, but it also stimulates your communication and inter-personal skills. It removes complacency and makes us more self-aware. Take some time to build networks both within and outside your organization. How about making a goal to network with six people this year? That’s one every two months. Pick two people you sparingly interact with at work. Schedule a coffee to learn more about what they do and connect. Pick two people from your external network that are acquaintances. If they live in another city/location schedule virtual coffee using tools like Google HangOut, Skype, Facetime, What’sapp, etc. so you can still maintain the visual connection. Pick to two people in your community. Building and cultivating your network can be an important step in helping you make connections to realize your end goals. Build your networks through LinkedIn, Twitter and/or Google+. Increasing your network will give you more visibility to other professionals. Regardless of your end goals, as I wrote in my blog post How to Articulate Your Accomplishments for Your Performance Review, make a point of updating your online profile(s) to include accomplishments, skills and projects you have completed. This will boost your brand and showcase your skills. how we project ourselves to our family, friends and work colleagues. Feeling positive about you should be your number one priority. Maybe it’s time to take up a new hobby or start an exercise routine. Having this balance will help put you into the right frame of mind to focus and achieve your goals. I am particularly passionate about this. My personal journey to re-focus on health and wellness started in 2013. I felt I was overweight which caused me to be lethargic and more introverted. The final straw was when I went to my cousins wedding and looked at pics of myself. I didn’t like what I sa w. I decided I need to do something to improve my well being. That year I started an exercise routine and started eating more natural foods. Within six months I lost close to 40 pounds and 6 dress sizes. I had a lot of support and encouragement along the way. I’ve managed to stick to my routine and have kept the weight off for more than a year. More importantly, I feel better and have more energy. It’s transformed my attitude, relationships and way of thinking. Make it a priority and find time to spend on yourself. How can you start? We all think we don’t have time, but with a little sacrifice, you can reap big rewards. As for me…I am thankful I had a great year last year and feel very optimistic for the year ahead. In my last blog post (TSPK101- Expanding Your Technology Vocabulary for Business Use); I spoke about the need for HR professionals to really understand some of the industry technology terms that are being used in strategic conversations. As a part two, I want to expand that conversation and drill down a layer further. This post will focus on deciphering the terminology behind social recruitment. The term social recruitment was first used as early as 2009, but started to become part of conventional recruitment strategy around 2011. Social recruitment has now become mainstream and many vendors now offer social recruiting and marketing products in addition to their core recruitment management system (RMS) offering. With the increasing adoption and investment in social recruitment, also comes the necessity to articulate ROI and explain its success. But, despite data being available through a multitude of channels, many recruitment functions still struggle with compiling data to answer to the lingering Executive question… Tell me how social recruitment adds value? Stumped? There’s good new… this is not a quiz! For a few years I’ve talked about the importance of introducing new metrics into the HR dashboard that can clearly describe the impact of social recruitment. Metrics can be the gateway to tell your story. It provides the forum to share success, lessons learned and forecast strategy based on data. To anchor social recruitment, a new wave of terminology needs to be adopted into daily operational metrics, performance measures, intake discussions and sourcing strategies make it meaningful. Term Description Why is it important? Click Through Rate (CTR) Measures the click from the initial link though to the content page. (e.g. the click from the initial job posting link on a job aggregator to the apply button on the job posting RMS). It provides insight into how compelling your content is. The marketing to get you to click on the initial link may be good, but if candidates are not clicking through, it could be due to your content. Companies should use click through rate metrics as an indicator on what’s working and what needs to be improved. You want high click through rates to measure applicant channel ROI. Employee Value Proposition (EVP) It’s a unique set of offerings, associations and values that will positively influence the most suitable target candidates to choose you as an employer. The proposition must be attractive, true, credible, distinct and sustainable. In a nutshell, it articulates what differentiates your company from your competitors. Why should someone choose to work at your company versus a direct or industry competitor? If you want Manager’s and employees to become brand ambassadors, they need to be equipped with EVP marketing messages to promote the company. Engagement Two way interaction of your companies brand and content between the end user and the company. Engagement identifies people who express an interest in your brand and content by interacting with it. It provides the opportunity to build rapport, creating a pipeline of candidates engaged with your company brand. Research shows that engaged employees have higher retention rates resulting in bottom line savings to the organization over time. Job Aggregator An on line database that scrapes and advertises job postings from company websites at no cost. Job aggregators have transformed the traditional job posting model. Jobs from companies are posted in one central place and are SEO indexed. Companies don’t pay to advertise job postings, they are there for free. This makes it more appealing for candidates as all jobs can be found here regardless of where they start their search (e.g. Google, Yahoo, Indeed.com, etc.). Job aggregators provide high source of hire ROI. Pay per Click (PPC) The amount paid when sponsored content (e.g. job posting) is clicked on a website. This helps companies stay within a budget and measure ROI based on clicks. If you sponsor jobs, you only pay for what is performing. Reach Reach is the potential audience for content based on total follower count (Twitter, Pinterest and LinkedIn followers, total Likes on your Facebook page, etc). If your boards have 1,000 followers on Pinterest, then each of your pins could potentially reach 1,000 people. Reach provides insight into the visibility of your content as it is shared (via a like or share) to other users networks. The higher your reach the higher the probability you will attract more applicants. SEO Search Engine Optimization (SEO) – Is the ability for your content to rank higher on a search engine when search results are returned. Most candidates now start their job search on a search engine (Google, Yahoo, Khoj, Baidu, etc.). The higher your content appears in search results, the higher the probability it will be clicked on. Social Sharing Sharing content through social media. Most websites recognize the power of sharing content on social networking sites. Social sharing is the modern version of emailing job postings to networks. RMS’, aggregators and job boards, now offer the ability social share jobs on sites such as LinkedIn, Facebook, Twitter, etc. Talent Brand The highly social, public version of your employer brand incorporating what your talent thinks, feels and shares about your company as a place to work. Your talent brand carries more credibility than employment brand because your employees are advocates or detractors of the message. Talent brand is important because it represents a genuine view from an employee. Tools like LinkedIn’s Talent Brand Index allows companies to benchmark against competitors to see how your talent brand is performing to attract and source candidates. Talent Communities A recruitment product that offers websites geared to specific roles, candidate types or locations where people can register and receive company information and notifications. Talent communities provide specific branding, content and messaging to candidates based on demographic information. While content on talent communities can be engaging, they also serve as the feeder for talent pipelines for specific roles. Targeted Marketing Recruitment Campaigns Use keywords and/or demographic information to target and attract relevant potential applicants for specific roles. (e.g. Call Centre, Actuaries, Mobile App developers, etc.). Most candidates start their job search on a search engine (Google, Yahoo, Khoj, Baidu, etc.). Unlike traditional methods of post and prey advertisements, campaigns have become a game changer because it seeks out specific individuals that appear to fit the role profile of the job. This creates a relevant pipeline and/or applicant pool. In addition to Google AdWords, social networking sites such as LinkedIn, Facebook and Twitter also offer these services. This by no means, is an exhaustive list of social recruitment terms. It’s really meant to be an introduction to some of the more common terms you can expect to hear and see in blogs, articles, white papers and research briefs. So the next time you are asked how reach impacts your sourcing strategy, you’ll be well positioned to give an answer! If you would like more information on HR metrics, check out my blog post Are You Using Data to Drive Your HR Strategy. I’d love to hear from you! Please let me know if you found this list useful. You can tweet me @annzaliebarrett or follow me LinkedIn. Job Aggregators – Fad or Future? A few months ago I did a presentation to a group of global recruitment professionals on social recruiting tools and sourcing channels. The group comprised of HR leaders and many “seasoned’ Recruiters; some of which had been in the industry for more than 15 years. As I started showing the breakdown of hire yield by sourcing channel, a single hand went up and delicately asked “What’s a job aggregator?” As the question was asked I could see heads bobbing in unison relieved that someone had the courage to ask the question. I have to admit, that with all the traction job aggregators have made over the last 5 years I was surprised that it was still such a mystery to Recruiters. So before I go any further I thought I would do a quick recap of what a job aggregator is. In its simplest form job aggregators are true “job search engines” that collect job postings from other sites across the web (including employer career sites and paid job boards) and store them in a very large database where they are searchable by job seekers. It’s appealing because jobs can be found in one place rather than spending time trying to find every possible place a job would be posted. Aggregating job postings at no cost to the employer or job seeker. In other words it’s FREE. Employers don’t have to pay to post their jobs and candidates don’t have to pay to access job postings unlike the pay to post model of traditional job boards around the world. Being search engine optimized. If start your search on Google, Bing, Yahoo, etc. Job results returned are indexed to the aggregator first, often ahead of the employer site and job board sites. Their high search engine ranking means traffic is directed back to the aggregator site even if the job is advertised on a paid job board! Introducing a Pay per Click (PPC) model for jobs. This brilliant idea piggy backs on internet advertising. Basically it provides employers the ability to sponsor jobs so they can rank higher in search results and be presented to candidates ahead of other jobs that appear for free. Costs are only incurred when a job seeker clicks on the link. Meaning you only pay for results. Enabling employers to set their own budget. Employers are no longer required to pay huge lump sum, upfront, costs for postings. Instead they can set a monthly or one time budget and choose to use it as it suits them. Being mobile optimized. As mobile has evolved, so have the aggregators. Their minimalist approach enables an easy and seamless user experience. Indeed.com has confirmed that about 49 % of global traffic to their site (69M+ monthly visitors) comes from mobile devices. This approach has developed into a model that is fast becoming an industry standard. Employers are paying more attention as aggregators have slowly amassed hire yield away from traditional job boards and staffing agencies. I personally saw this shift in my own organization. The chart below is a simple metric I used (and communicated to the HR Team) to gain insight into our sourcing channel trends. It revealed the decline of job boards and agencies and the rise of social media and job aggregators. I wasn’t alone in seeing this trend. Many large, global employers I spoke to have also seen this trend and like me, started taking their budgets reserved for job boards and investing them in job aggregator and search engine campaigns. Leveraging the pay per click model. It’s a clear and tangible indicator that job aggregators have disrupted the industry standard for job postings. It’s this kind of employer insight that has forced job board vendors to rethink how they offer their products and services to remain competitive. The impact is material. In October Canadian job board giant Workopolis launched Social Job Share (SJS), a job distribution product that shares jobs on their website to social media sites such as LinkedIn, Twitter, Facebook, etc. In May 2014, Monster Worldwide announced its move to a job aggregator, pay for performance model. Job Aggregators haven’t only challenged job board vendors. Their disruption has also extended to social networking platforms. Facebook launched its Social Job Partnership (SJP) job posting site in 2012. They chose to aggregate job postings instead of asking employers to pay to post. Even LinkedIn has not been immune to its influence. In June 2014, they announced they would be aggregating job postings to their active job seeker population in the US. A strategy shift from its paid job slot offering. Despite the higher yield of candidate hires and lower ROI, many employers struggle to completely relinquish their use of job boards to aggregators siteing low brand awareness. Recruitment functions complain Manager’s seem to have little or no awareness of brands like Indeed or Simply Hired compared to well known brands like Monster, Naukri, CareerBuilder, Workopolis, etc. The success of aggregators should be a signal to recruitment functions that it’s more important to invest where the candidates are. Manager awareness should not be the driver of a sourcing strategy. Recruiters should be using metrics such as source of hire to educate Managers and build awareness. It certainly doesn’t hurt aggregators to invest in building brand awareness either. There’s no doubt job aggregators have become a game changer. Their simple, yet effective model has transformed the concept of paid job postings. This forward thinking approach will continue to chart the way we think of sourcing and applicants. You may wonder; if aggregators are posting jobs for free, why should employers invest? I love this question because I answer it the way any savvy business person would. If free is yielding a good ROI, imagine what would happen with a real investment? I’d love to hear your stories/experiences about how job aggregators have impacted your sourcing strategy. Contact me @annzaliebarrett or through LinkedIn.